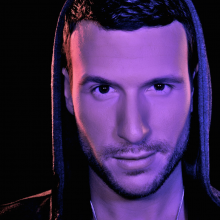 Dutch DJ / producer Don Diablo was born and raised in Holland and is currently working on rapidly expanding his discography in between his global touring schedule. After scoring multiple top 5 hits on Beatport with records like “AnyTime”, “On My Mind” and “Cutting Shapes” he also became an in demand remixer. His current portfolio includes names like Madonna, Ed Sheeran, Rihanna, Bastille and many others. Besides this Don has collaborated and produced for artists like Kelis, Alex Clare, Example and Tiesto to name a few. Last year Don launched his “HEXAGON” record label, the first release, his remix collab with CID of Alex Adair’s “Make Me Feel Better”, held the no. 1 position on Beatport for over two weeks. An obvious dream start for a label with a great future ahead. Warner Brothers also asked Don to create the worldwide theme song for the highly anticipated “Batman Arkham Origins” game. The track and the accompanying video became an instant viral hit racking up millions of Youtube plays.